The GAA/GPA All-Star Awards ©INPHO/Oisin Keniry. Dublin’s four in-a-row winning All-Ireland champions have been honoured with seven places on this year’s PwC All-Star Football team. Jim Gavin’s all-conquering side are the dominant presence in a selection that sees Dublin claim seven awards across defence, midfield and attack, with Monaghan claiming three, Tyrone two and one place each awarded to Kerry, Galway and Donegal. Dublin are now second in the roll of honor for All-Star winners in football with 123 all-star awards in football, with Kerry leading on 141. The 2018 representation matches the seven the Dubs also received as champions in 2015 and 1995. GAA President John Horan chaired a selection committee made up of senior Gaelic Games Correspondents last night. It should be noted that, in a change from the past, this year selectors were not restricted to selecting players for the final team in the positions they had been nominated in. In goal, Monaghan’s influential Rory Beggan is a first-time all-star in what is his fourth year to receive a nomination. Dublin’s Jonny Cooper and Tyrone’s Colm Cavanagh pick up their second all-star awards in a full-back line completed by first time winner Padraig Hampsey From Tyrone. Monaghan’s flying wing back Karl O’Connell is rewarded for his exceptional season with a first all-star. Beside him in the half back line are influential Dublin duo James McCarthy and Jack McCaffrey who each collect a third all-star from their glittering careers. Midfield is an all-Dublin affair where the versatile Brian Howard is a first-time winner and selected alongside the inspirational Brian Fenton who adds a 2018 PwC all-star to those won in 2015 and 2016. Following on from his man of the match display in the county final on Monday, a great week for Kilmacud Crokes Paul Mannion continues with his selection in the half forward line, and in what is his second career all-star. Beside him, Ciaran Kilkenny collects a third all-star after his prolific performances this season, while Donegal dynamo Ryan McHugh wins a second all-star award after helping his side win Ulster. David Clifford crowns his impressive debut senior inter-county season with an all-star at corner forward for Munster champions Kerry. Connacht champions Galway are represented by Corofin’s Ian Burke in the other corner. At full forward Monaghan’s Conor McManus collects what is his third all-star award. 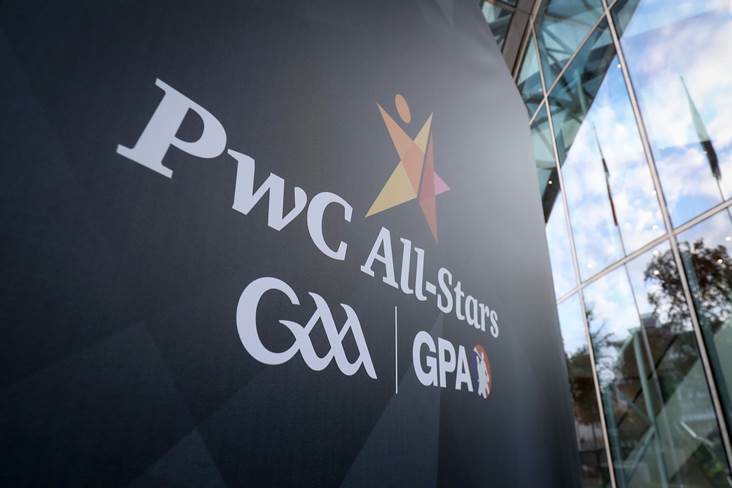 The announcement of the 2018 PwC All-Star Hurling team will be made live on Friday night, as will the announcement of the Footballer and Hurler of the Year and awards for Young Footballer and Young Hurler of the Year. The player of the year awards are voted on exclusively by the players. The nominees for these are Brian Fenton, Ciaran Kilkenny and Jack McCaffrey for Player of the Year and David Clifford, Brian Howard and Michael McKernan shortlisted for Young Player.